Stone Hosting Review 2019: Is Stone Hosting a Good Hosting? 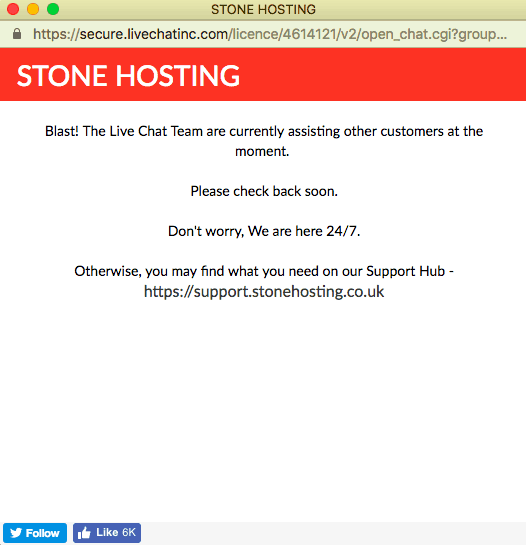 Stone Hosting offers premium U.K. hosting with a 99.9% uptime guarantee backed by credits. The plans are pricey, but the features are premium. Stone Hosting has been providing hosting since 2013, and now has multiple racks in the U.S., U.K., and Europe and more than 1,000 customers. By 2017, it introduced unlimited hosting plans and business hosting plans. The company is based London, U.K., and has an English language website. Stone Hosting has two U.K. based data centers, one in London and one in Gosport, which generally means you should get a quick response time to issues and less change of resources being oversold. All plans use cPanel, an easy-to-use and reliable control panel and there’s a solid 99.9% uptime guarantee, offering a prorated credit for any excessive downtime. The website is simple to navigate and the plans include some nice, beginner-friendly features. 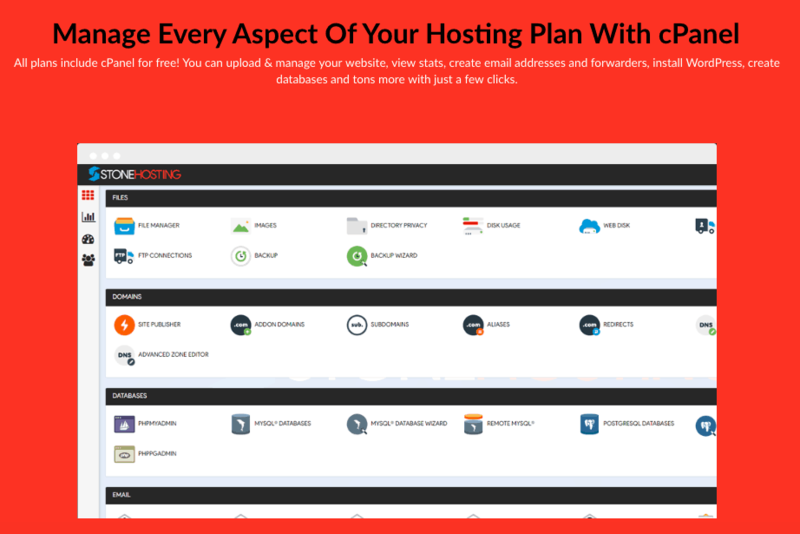 All shared hosting plans come with a one-click installer (unspecified number of programs) and a Weebly website building tool, which can also be bought as a standalone product without hosting. You’ll even get a free website migration. 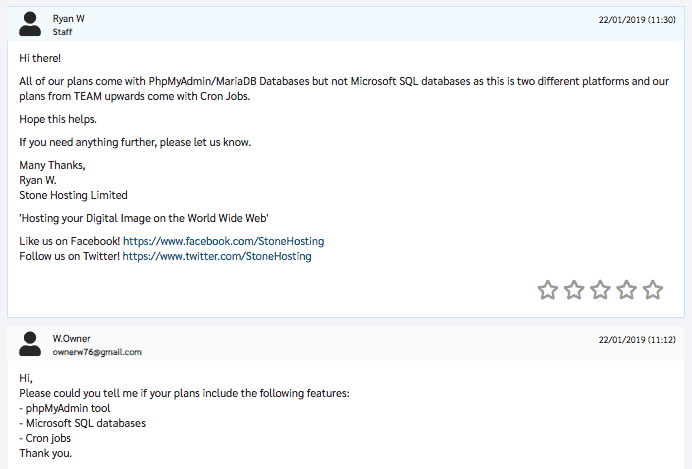 All plans come with cPanel and all of the usual features i.e., MySQL databases, phpMyAdmin, remote SQL connections, and FTP accounts. There’s also several performance enhancing features thrown in such as a free Cloudflare CDN, Virus Scanner, Hotlink & Leech Protection, and IP Management. The prices are okay, certainly not the cheapest I have seen, however, not bad considering this company owns it own U.K. based data centers and offers a solid uptime guarantee. If you only need one domain, the cheapest plan, Solo, includes all of the same features as the higher-tier packages, with less disk space. If you need 50 or unlimited domains, expect to pay a premium. The highest package includes a free SSL certificate and domain, while the second highest plan includes one free domain name, which goes some way to counter the high price. The cheapest plan can only be bought in a one-year term, while all other shared hosting plans can be bought in monthly or yearly terms. There’s a small discount if you purchase a year upfront. In terms of customer service, there’s a “Support Hub” which includes a wide variety of methods through which you can get help. Firstly, if you want to get support from a representative, you can email, send a Facebook or Twitter message, open a ticket, or call the team 24/7. Secondly, if you prefer to research first, there are help documents and an FAQ section. I tried contacting support before 9:00 a.m. and after 11:00 a.m. on a weekday by live chat and no-one picked up, even though live chat appeared online. Both times, I received an auto-response stating that the team was busy and to try back shortly. While I was waiting, I submitted a support ticket and, as you can see from the timestamp, I received a response within 30 minutes answering my questions in full. Stone Hosting, founded in 2013, began offering free charity hosting in 2014, unlimited hosting in 2015, and business plans in 2017. These plans are U.K. based, so you’ll pay a premium, but in return, you’ll get solid features and an excellent uptime guarantee. Wondering how Stone Hosting stacks up against other Web Hosting companies? Enter any other Web Hosting company and we will give you a side-by-side comparison.